Turning raw material into "concrete" and actionable items for building constructions. Or, how to create bricks from the ground and then sell them to others. Can only be done in the dry season using a wooden mold. Seen in Canyon de Colca, Peru. 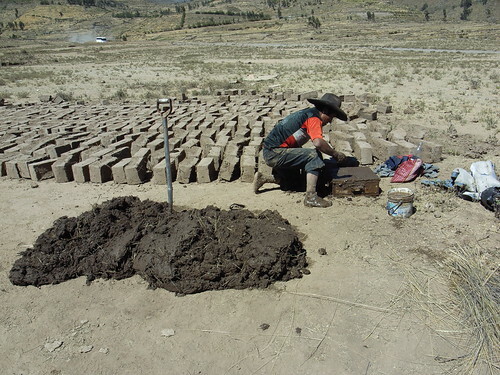 What is interesting here is the proximity between the raw material and the end product, a very short production cycle and the use of basic Sun/Wind capabilities to dry the bricks. See also Jan Chipchase's post about that topic.